Capresso Infinity Burr Coffee Grinders. Are you a coffee lover who wants to grind your own coffee or espresso beans for the richest taste? Capresso’s Infinity coffee grinder comes in two versions. The Capresso Infinity offers excellent performance and outstanding value. In black or stainless steel, the Capresso Infinity matches the performance with style. Both can grind from very fine to course. 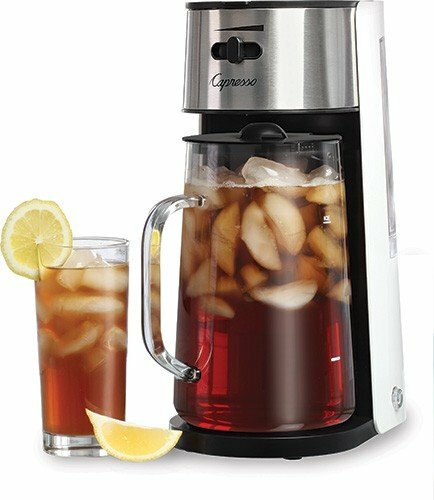 For drip coffee check out the Capresso Cool Blade grinder. The Metal version of the Capresso Infinity adds elegance and weight to this very versatile coffee grinder. 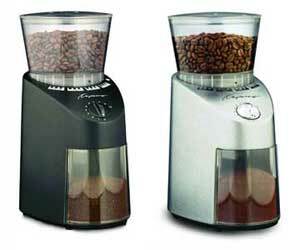 With a wide range of settings, the Infinity can grind from Turkish fine to course for French Press. At 1st In Coffee we feature espresso beans, espresso machines, coffee grinders, frothers and the finest espresso beans illy and Lavazza. Contact us toll free at 800.709.8210, if you need more information on any espresso grinder we offer. We’re your source for quality coffee grinders. What The Heck Is So Great About A Super Automatic Espresso Machine?